Not too long ago, I was blinded controlled by my emotions. When I was emotional, I was unpredictable, irrational. I’d lash out in anger, I was defensive, I was combative. If you tried to tell me about myself or my behavior, I’d feel attacked, like you wronged me. After months of fighting for my sanity, I was exhausted in every way, mentally, physically, spiritually. I finally come to my senses and turned to Father God and asked Him why was I such an emotional wreck? Why did it always seemed to be an extraordinary amount of pressure surrounding me? You know what, sometimes God is slow to respond, but this time, He answered me swiftly–like He was just sitting in heaven watching me have these adult tantrums, just waiting for me to seek Him for the help. He said choose ye this day! Just like that, in that very moment, I had the answer that eluded me for months, everything wasn’t turning into conflict, I was turning everything into conflict simply by not controlling my emotions. But more than that, I was choosing to let my emotions control me. The Holy Spirit with his transformative power opened up my understanding of mental and emotional wellness and helped me do research on taking back control of my emotions and mental health in general. For the first time in months, I felt at peace. I accepted my shortcomings, my flaws, my failures, my mistakes. I’m more emotionally sound than I have ever been. I feel better equipped to handle confrontations. I still have trouble expressing my thoughts and feelings, but I understand myself better and I can better convey my emotional needs. I pass some test and fail some test placed before me. But I think I pass more than I fail. Sometimes my emotional state wins over my calm rational state, I’m not going to lie, the Philly girl can come out real quick if I’m not careful. In trying to get a handle on your emotions and emotional state, change the way you think, your mindset and thought patterns. Recognize your triggers and acknowledge how people and situations make you feel. Progress will be slow as it should be, but it will progress none the less. 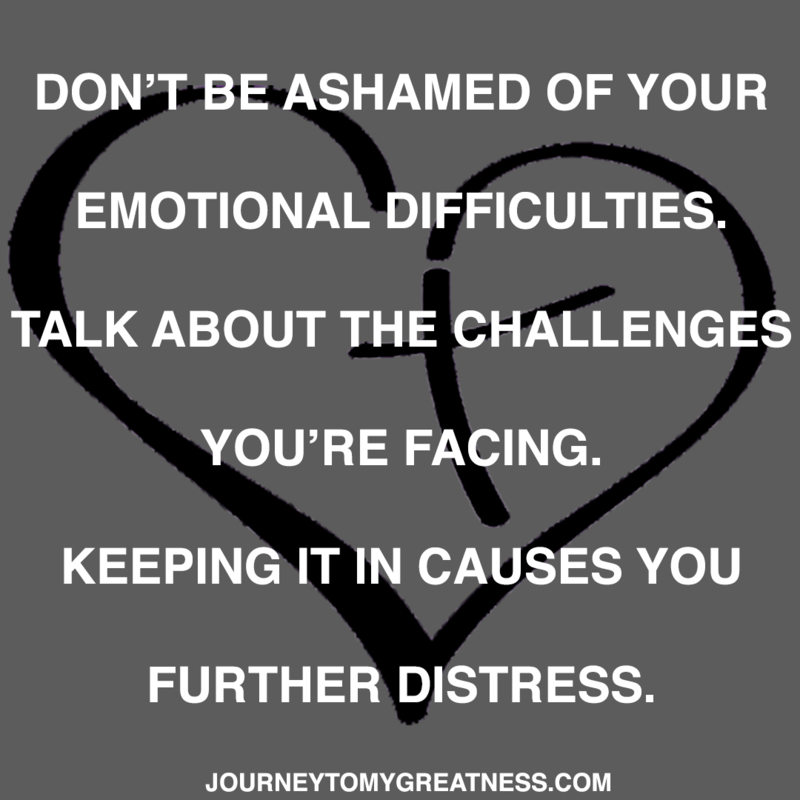 Have you found yourself under an enormous amount of emotional stress? 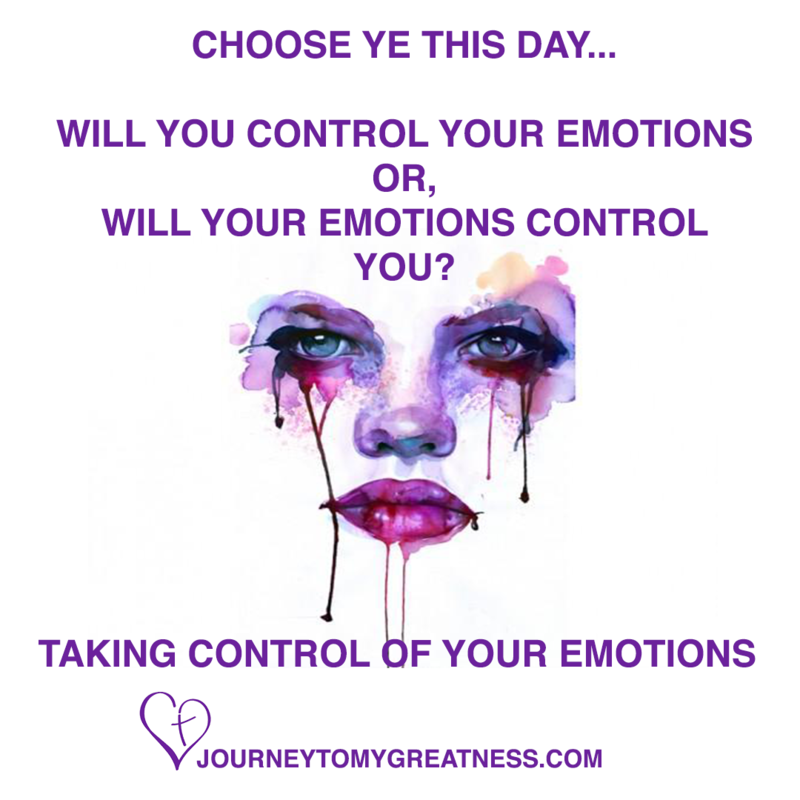 Are you in the process of taking back control of your emotional state? Join our mailing list for tips and advice to help you on your journey. Don’t Fall Into The Comparison Trap!